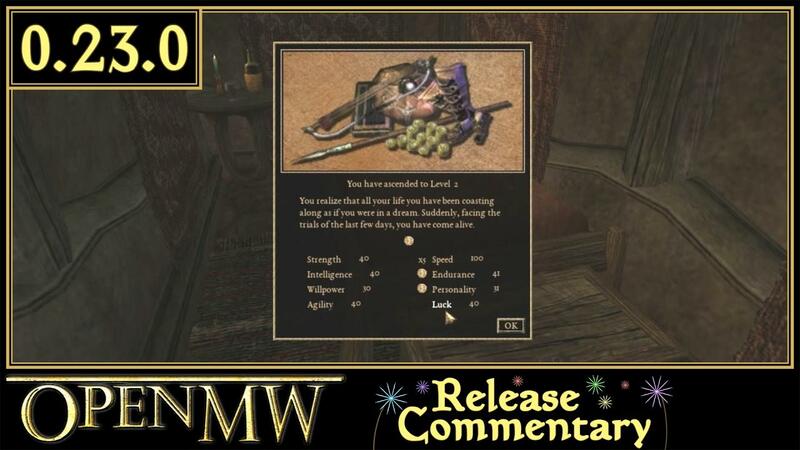 The OpenMW team is proud to announce the release of version 0.23.0! Release packages for Ubuntu are now available via our Launchpad PPA and for Debian in our Debian PPA. Release packages for other platforms are available on our Download page. This release introduces the initial implementation of NPC movement AI, item repairing, enchanting, levelled items, texture animation, basic particles, and more, along with an extensive list of fixes and improvements. Also as a note, Morrowind's 11th Anniversary is May 1st! The OS X package for this release will be delayed. Never fear, we still support OS X, our package maintainer is just away! Check out the release video by the our very own WeirdSexy.